The last Christmas themed book I read was Hercule Poirot’s Christmas by the late great Agatha Christie. 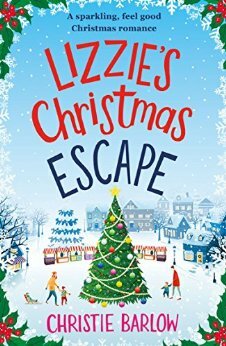 Other than also having Christmas in the title, Lizzie’s Christmas Escape has absolutely nothing in common with the Belge’s festive investigation which is probably a good job! It is definitely what it says on the tin, a sparkly feel good Christmas romance. But it’s a rollercoaster of emotion! From giggling to feeling a lump in my throat, there is definitely not a dull moment in Lizzie’s life. It was starting to look a lot like Christmas. I love Ann as Lizzie’s best friend. Every girl/woman needs a friend they can share everything in, the highs, the lows, the glares across the bingo hall and of course the shopping!! This is the second book I’ve read by Christie and I loved it. She’s definitely a #BookoutureBabe. I’ll be back to finish off reading Christie’s back catalogue (just two to read) when I need a break from my normal crime and psychological thrillers. She’s becoming a firm favourite in the non-crime stakes up with the delightful Marcie Steele. A very Christmassy thank you to Bookouture and Netgalley for giving me this ebook. This was my honest opinion of Lizzie’s Christmas Escape. Not sure the mention of Agatha Christie counts, Claire! 😂 Great review for what sounds like a fab, fluffy read. Click the link to grab a copy today!